Keep this information in mind when crafting your social media content. Small businesses can learn valuable lessons from the big-brand approach to social media. Create content that people want to talk about. 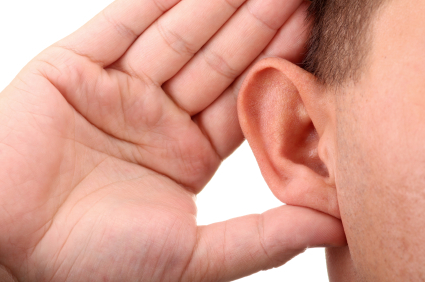 Use social media to listen to customers. 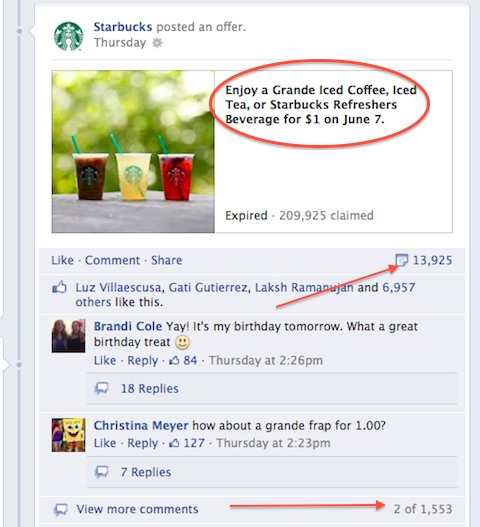 Starbucks, with over 34 million fans on Facebook, is a good example. On Thursday, June 6, they posted a Facebook offer “Enjoy a Grande Iced Coffee, Iced Tea, or Starbucks Refreshers Beverage for $1 on June 7.” The update was shared by 13,931 people and received 1,553 comments. The offer was not tweeted to their 3,852,454 Twitter followers. By promoting the offer on Facebook, where they have a significantly larger following, Starbucks leveraged the promotion on a platform where they were sure to get higher visibility, giving followers an incentive to follow the brand. Starbucks knows where and what their customers will talk about! Use a big-brand approach to engage your social media followers. Ensuring that your posts and updates have a good chance to be seen by your target audience is an integral part of a content strategy. Frequency: Post around 5-10 times a day on Twitter and 1-4 times a day on Facebook for optimal outcome. Timing: Almost all research studies highlight the main work hours from 8 am to 8 pm as good times to tweet and post to Facebook. Multiple sites: Post to multiple social sites, in addition to your own blog or website. Create a frequent and reliable presence on social networks. Image source: iStockPhoto. Pay attention to frequency, timing and multiple sites, and you’ll increase the odds of achieving higher levels of social engagement. Data from social channels (e.g., Twitter, Facebook, LinkedIn, Google+ and blogs) can be overwhelming unless you have clear goals to guide what you’re looking for and what you’ll do with the information once you find it. Gauge the real-time market mood. Identify relevant issues and content. Explore social data with an actionable plan in mind. Lana Bandoim writes, “Social media engagement is often defined as the real interactions that happen on these networks.” She points out that social media engagement relies on daily interactions among users to survive. While autopostingtools are one way to communicate, more businesses are beginning to understand that engaging with their audiences in real conversations will bring them better results and add more value to their social streams. Engage with users in real-time conversations. Image source: iStockPhoto. Be available to your audience in real time, when you can have more meaningful back-and-forth conversations. Got the hang of your Facebook Page? Enjoy it while you can, because based on Facebook’s history, the only thing that’s certain is that Facebook will change. A Google search for the words “Facebook changes” brings up a great number of results with a range of topics such as changes to timeline, cover photo policy, implications for merchants, mobile layout and much more. Follow Facebook’s business changes for regular updates. Follow the Facebook tag on TechCrunch. Set a Google Alert for Facebook updates. Follow new posts on AllFacebook. Follow social media and tech experts. No one wants to have their Page change features on them without having ample time to prepare. Keep up to date with Facebook developments to make sure you don’t miss out on the changes coming down the pike. Google‘s new standalone reports, Data Hub Activity and Trackbacks, give marketers more in-depth insights into social networks and how users respond to a business’s content. The Data Hub Activity report shows you how people are talking about and engaging with your site content on social networks. You can see the most recent URLs people shared, how and where they shared (via a “reshare” on Google+, for example), and what they said. 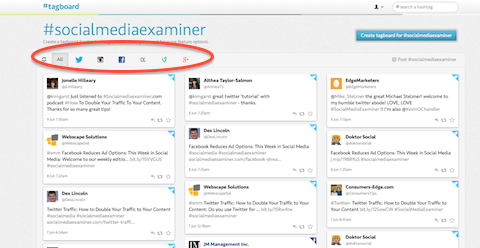 The Trackbacks report shows the sites that are linking to your content, and in which context. This can help you replicate successful content and build relationships with those users who frequently link to your site. Discover what and where your visitors are sharing. Check out the new Google Analytics reports and apply what you’ve learned to your content development strategy. Promotions—hashtags make it easy to track a promotion’s activity across many social platforms. Unification—you can track a hashtag across all the major networks or filter them individually using new tools such as Tagboard. Conversations—giving a customer your website URL doesn’t make it easy to begin a conversation, but hashtags do. Targeting—unlike going after a general web surfer on the open web, people who use hashtags are likely to engage in social conversations and therefore are more likely to share a positive experience they’ve had with your brand once you’ve broken through. Innovation—because they’re so flexible, simple and ubiquitous, more businesses are able to find creative ways to add power behind the hashtag. A hashtag search on Tagboard will help you follow all the conversations. Tagboard filters hashtags on major networks. Use hashtags to include your content in active public conversations. Infographics are defined as graphic visual representations of information, data or knowledge intended to present complex information quickly and clearly. 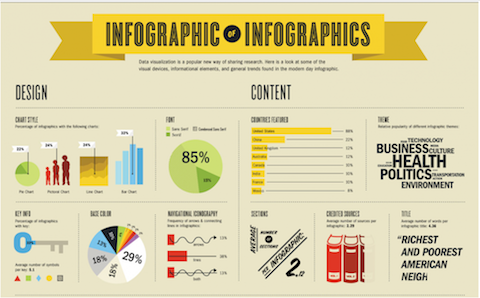 Infographics are shared on the web, Twitter and Facebook more often than other content online. Infographics are easy to understand, consume and share. On Twitter, LinkedIn and StumbleUpon, infographics get more shares than other content. Marketers love infographics because they offer an easy and powerful viral marketing tool to spread the word about your company’s products and services. Infographics are a great way to synthesize information simply and visually as seen in the above image from Vsual.ly. When done well, an infographic is a perfect poster-child for quick and effective dissemination of information via social media. Why is it that some businesses are posting fast and furiously and others are crawling far behind? Chances are that the businesses posting more frequently had to justify to management the importance of maintaining an active presence. As we discussed in #5, autoposting does not offer a suitable alternative to real-live human beings who can respond to comments and post breaking news updates. Is this your competitor? Eye-opening, isn’t it? Monitor your social media engagement compared with your competitors’. Share the results with management to help justify a request to dedicate more time and resources to the company’s social media efforts. Klout utilizes Twitter, Facebook, Google+, LinkedIn, Foursquare, Wikipedia andInstagram data to create a Klout user profile that is assigned a “Klout score,” a numerical value between 1 and 100. Many critics suggest Klout scores aren’t representative of the influence a person has and discount the scores, as well as the thinking behind Klout. Klout gets a lot of buzz on social media. When it comes to Klout scores, don’t throw the baby out with the bath water. Instead,ask what you can learn from your competitor’s higher score and how you can do what they’re doing with their content. The question of social media’s ability to capture leads has been at the forefront of marketers’ minds from the beginning. Twitter is the latest network to offer an approach that will let marketers be more proactive with lead generation cards. Twitter describes lead generation cards this way: “[The cards] make it easy for users to express interest in what your brand offers. Users can easily and securely share an email address with your business without leaving Twitter or having to fill out a cumbersome form. 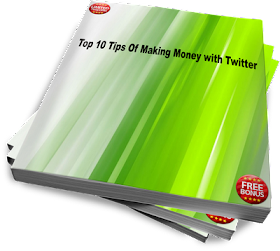 Information is shared securely on a Twitter lead generation card without users having to leave Twitter. 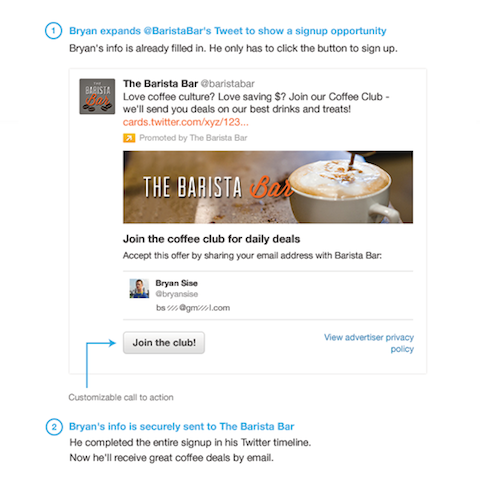 Stay updated on the availability of Twitter’s lead generation cards so you’ll be ready to use them. I don’t know about you, but I seem to be visiting more and more websites on my mobile phone these days. If I land on a page that isn’t mobile-friendly and it’s slow and difficult to navigate, I’m out of there. Only give visitors content they need. Landing pages should be simple. Design for multiple browsers and device compatibility. Always include social media icons. Automate the experience and use mobile redirects. Provide a link to your full site. Usability should be top priority. 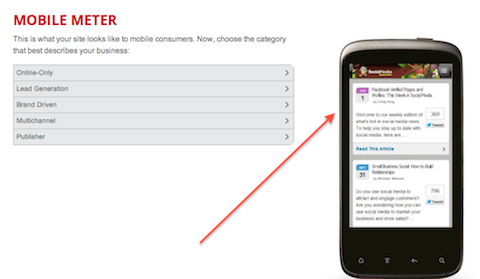 By using Mobile Meter, we can see what Social Media Examiner looks like on mobile devices. Don’t give readers any reason to leave your site. Be mobile-ready and -friendly. What social networks do your customers favor? Are they on Twitter and Facebook, but haven’t embraced Google+ yet? The situation gets a little more complex for businesses. It’s important to keep in mind that your customers may favor one network today and in six months discover that another meets their needs better. Follow your customers and prospects so you can network in all the right places. Can your business keep up to date with all the tasks associated with maintaining social presences (e.g., reading and sharing good content, responding to users’ comments, asking questions to help engage your audience)? Keep some social media in-house. Send some social media to a consultant, someone who understands social media and can apply that knowledge across many different platforms. How many hours a month does it realistically take for your business to maintain social presences? 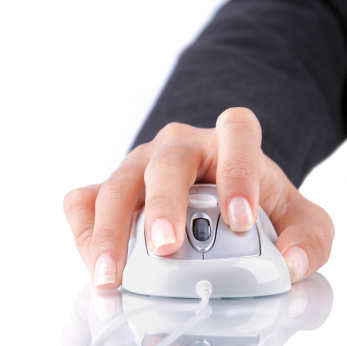 Don’t let the shortage of internal resources hamper your online capabilities. Outsource social media to cover your bases. Photos and other types of visual content are highly shareable on social networks. Pam Moore suggests that when you post photos of your team, it helps to show your business as a human brand and build relationships with your community. Social media has made it possible for you to share information about your business in a multitude of ways. Photos can show your serious, productive, silly, creative, successful and charitable sides—but above all, be sure to expose your human side. Pure fan engagement questions to help tap into the interests and lifestyles of your fans. Market and competitive analysis questions to generate conversations andengage with possible leads who are interested in buying that product. Product/service feedback questions that can serve as a fast focus group to find what people like most and what areas you can expand into. 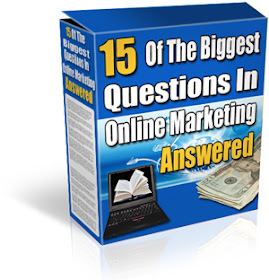 Are you asking your readers questions? When they answer, do you reply? Let’s say you joined Facebook in 2008 and Google+ in 2012. A difference of four years can seem like eternity in the world of social media. Regardless of the year, you’ll want to make sure you have a consistent brand identity today. Desmond Wong examined how Google, Target, Etsy, Coca-Cola, Disney, Amazon,New Yorker magazine and SEOmoz approach brand consistency across multiple social media platforms. Factors included how they use design and graphics in unison across platforms, and whether they use consistent colors, fonts, icon styles and logos. If you’re in doubt about whether you demonstrate a consistent brand experience, take a look at all of your pages side by side and see if there are any changes you need to make. At times you may wonder about the relationship between in-person events and social media, and how they’re able to coexist. Engage—encourage potential attendees to interact with you early on by crowdsourcing feedback. Intrigue—create an event page on event listing sites (e.g., Facebook events,Eventbrite). Invigorate potential attendees with videos, blog posts, press releases, Twitter list of attendees, etc. Integrate—pick a hashtag for the event to get people talking. Inform—ask attendees to vote on session suggestions via text messages, consider QR codes on badges. Propagate—stream live video of your event. Aggregate—spread the conference presentations as widely as possible; use email links on your website and publish on SlideShare. In-person events, combined with online social networking, provide terrific opportunities for businesses to reap the benefits of both worlds. None of us should work in a vacuum. We need to know what’s working and what isn’t. But sometimes the people seeing the analytics aren’t necessarily the ones who are managing the company’s online presences. To garner support, show team members the results of their efforts. Social media has changed the way businesses communicate publicly. In fact, we’re often advised to avoid stiff and stodgy business writing and encouraged to adopt a more conversational tone. And yet sometimes we’re at a loss to know what that means for our business. Listen to your community. Image source: iStockPhoto. 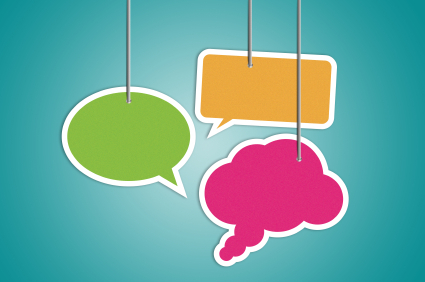 Use a conversational tone to make your content feel more authentic and engaging to readers. With all the attention images receive on social media, it stands to reason that businesses will be on the lookout for interesting visuals. Joshua Lockhart provides a list of six visual search engines to help you find the image you want. He suggests TinEye, CC Search, Compfight, Flickr Storm, WeSEE andGoogle Image Search. 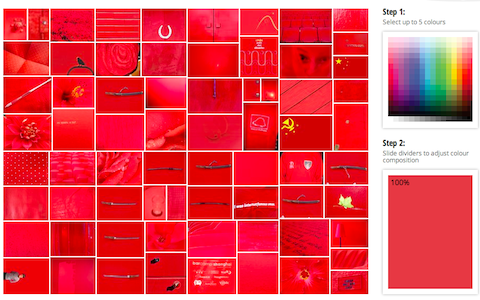 Visual search engines expand your search capability (e.g., on TinEye you can even search for images by color!). Take a few minutes and check out the visual search engines. When you find one great image you hadn’t previously come across, it will make a difference. When you’re busy writing online content, it may feel like you don’t have the time to stop and look into new writing tools. But when you do, you’re apt to find a treasure trove of useful tips. That’s how I felt when I came across Sherice Jacob‘s unique list of apps, websites and software programs for online writers: Wordcounter, Cliche Finder, Creativity Portal,Unstuck, Zen Writer, Byword, Readability, and Sychroedit. 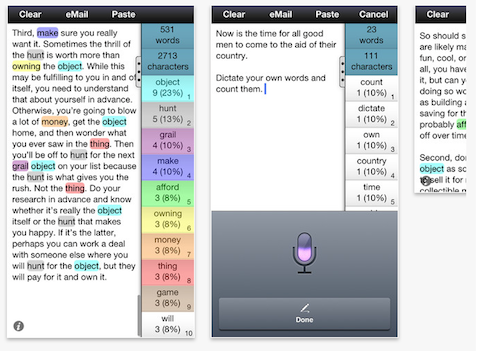 With Wordcounter, you can count words on your iPhone. Writing tools can help recharge your battery while fulfilling specific needs. Online readers often gravitate to tips-related articles. A search on the keyword “tips” produced 30,400,000 global monthly searches. Suggested keyword terms included every imaginable type of “tips;” for example, photography, makeup, Sudoku, travel, weight loss. Regardless of the industry, people are often looking for tips. Include tips articles in your content marketing plan for your business to interest new readers. Social channels differ in the roles they play in the customer’s journey towards making a purchase. Social channels differ in their roles in the customer’s journey towards purchase. 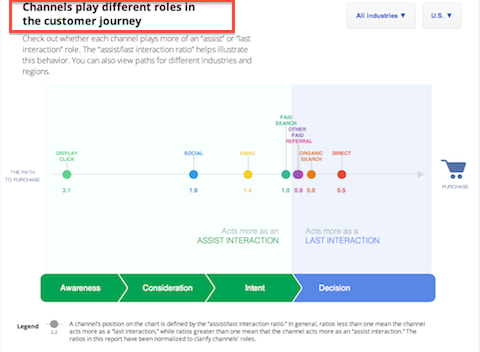 Check out Google’s Customer Journey tool to see the differences by channels and industries. What do your customers care about? What information will help them in their day-to-day work or make their lives easier and more successful? If you’re going to go to great lengths to craft and publish content, keep your customer’s interests and needs front of mind. Did you know that you can shorten your links with AdFly and make cash for every click on your short links.